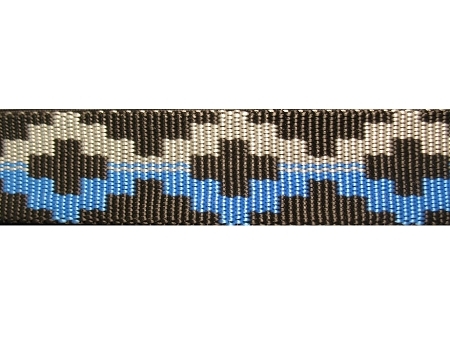 1.35 mm Polyester Jacquard Webbing - Royal/Silver with decorative woven prints to enhance the appearance of garments, hand bags, totes, dog leashes, guitar straps etc. 100% Polyester fibers, Heat and UV Radiation Stabilized. 900 Denier Yarns. Catch Cord Applied.